While I'm still having fun with this project, I am losing steam. 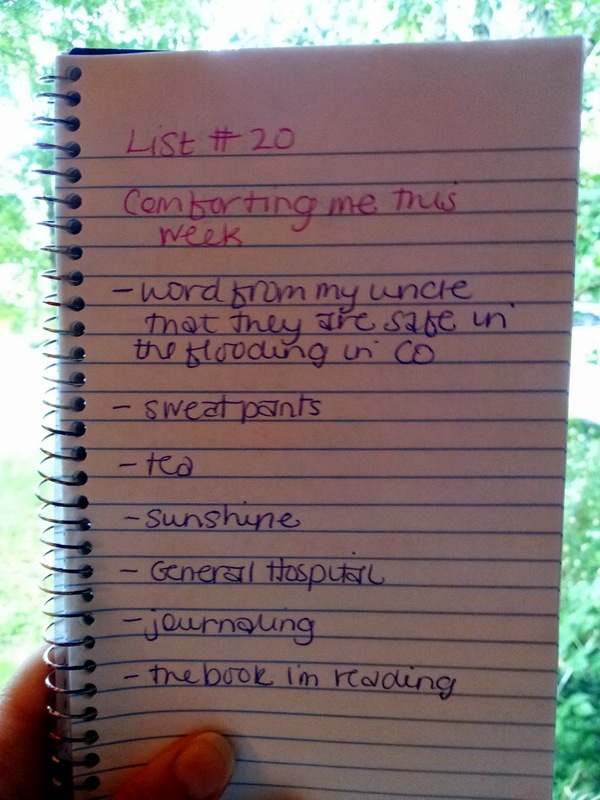 I realized around day 19 that I was no longer looking forward to reading the list prompt first thing in the morning. 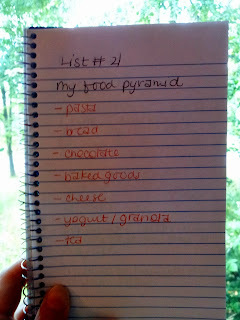 I'm still doing it, but it feels more like a tiny chore than a daily treat. That said, last week I left off with list #14, so I will pick up with #15 this week. I did not actually get up and check my junk drawer, but these are the types of items that are usually in there. 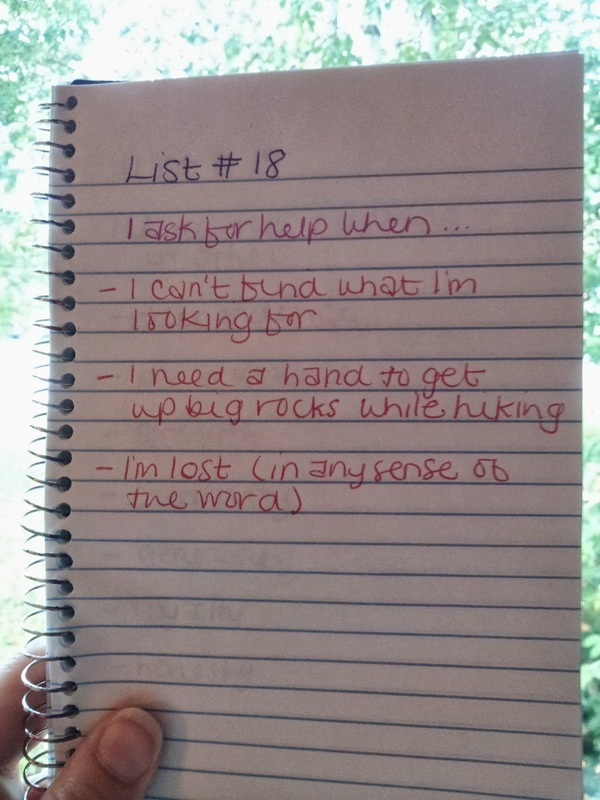 List #16 presented a prompt with a blank to fill in. 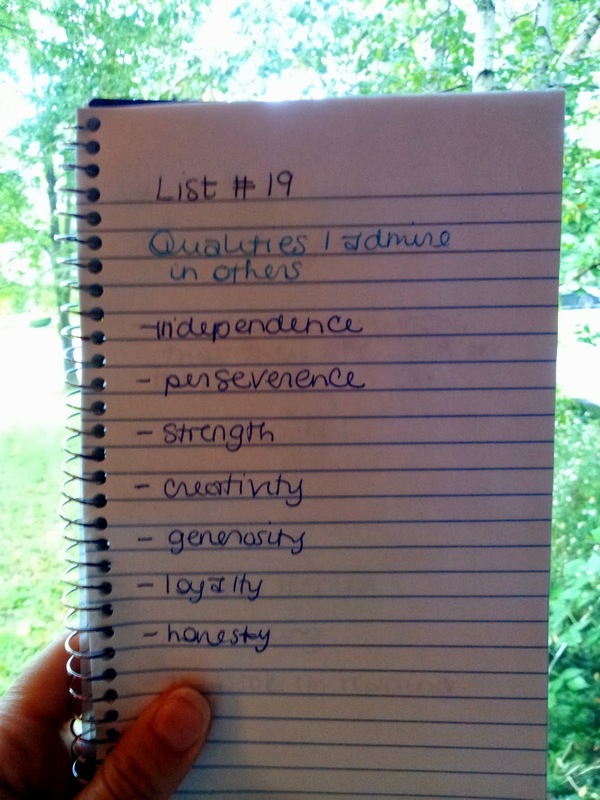 I was initially turned off by this topic, but I eventually got into the swing of things and was able to come up with a list that I was satisfied with. 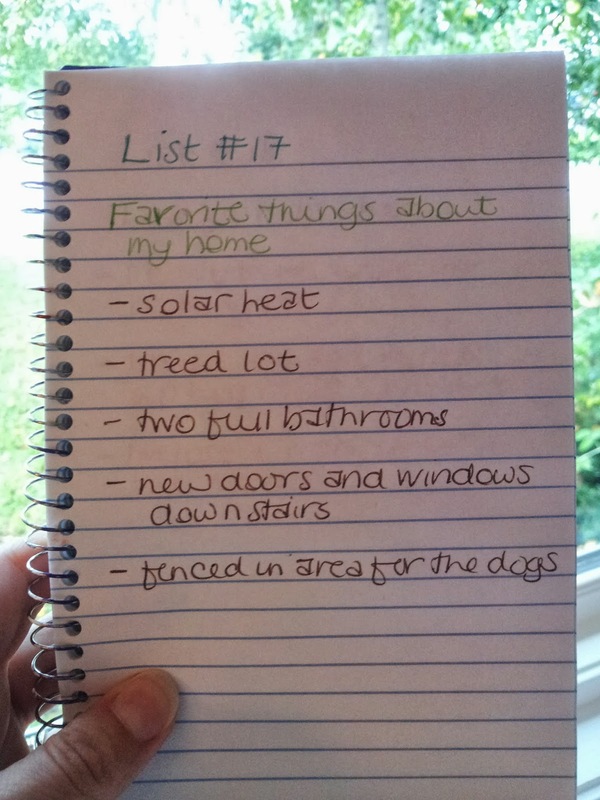 List #17 was a stretch for me. My house is not at all my dream house, but there are features I love. List #18 was also a stretch for me. Asking for help is not an issue for me. I ask whenever I need it. I don't understand what the big deal is. Pride? Ego? Whatever it is, I don't get it. List #19 was one that could've been many pages long, but I had to cut it off somewhere. 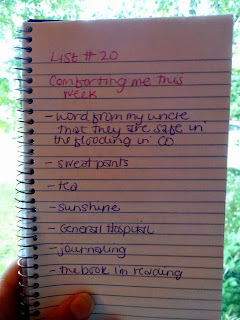 I liked writing list #20 more than some of the others this week. It felt more like me than most of the rest. 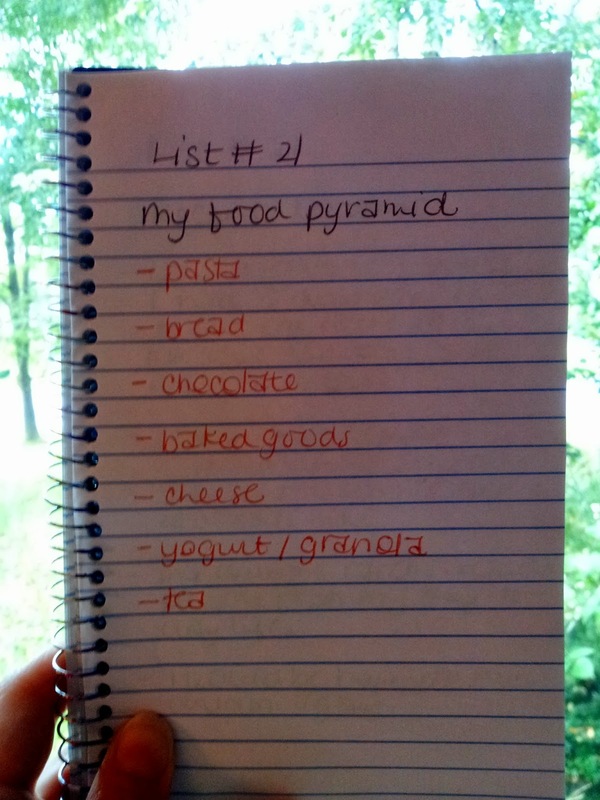 List #21 was meant to contain an actual pyramid, but I wasn't interested in analyzing my food consumption in that fashion.